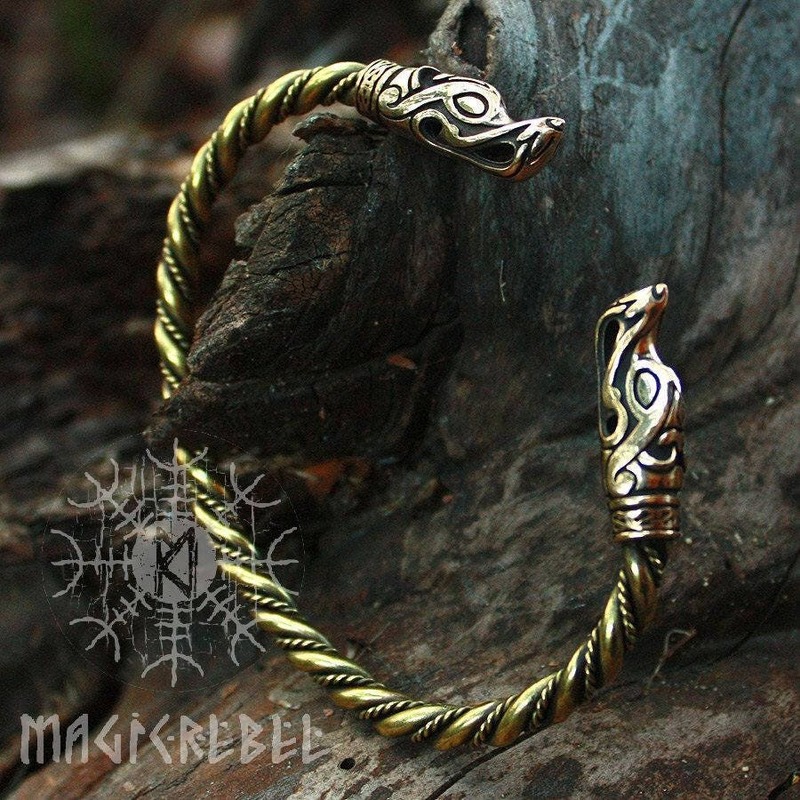 This is a solid bronze wolf heads and brass twisted wire Viking style handmade torc arm ring bracelet. 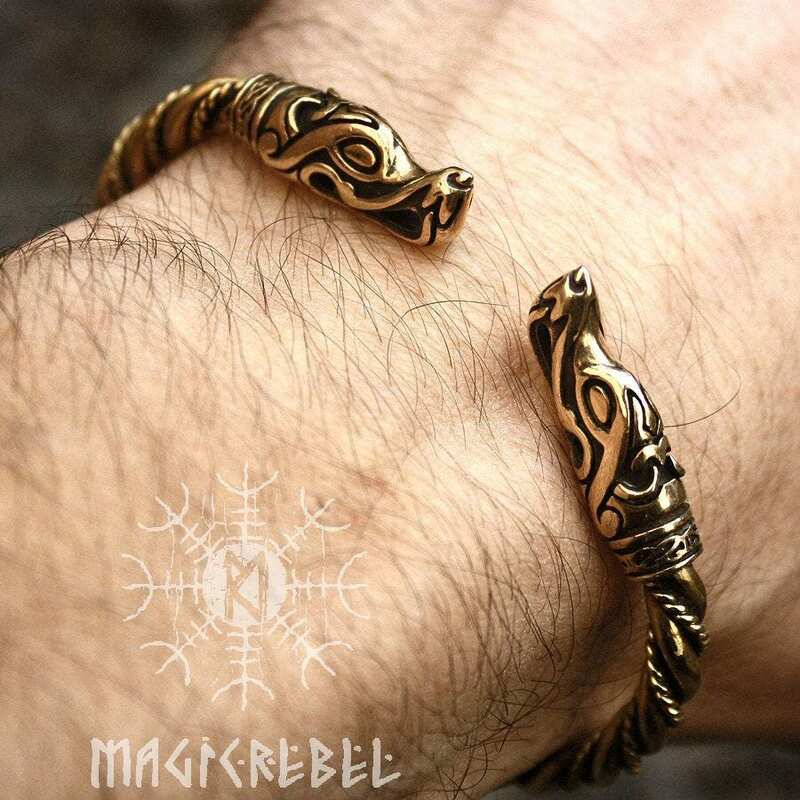 The wolf head terminals are original design of MagicRebel shop - please avoid replicas! 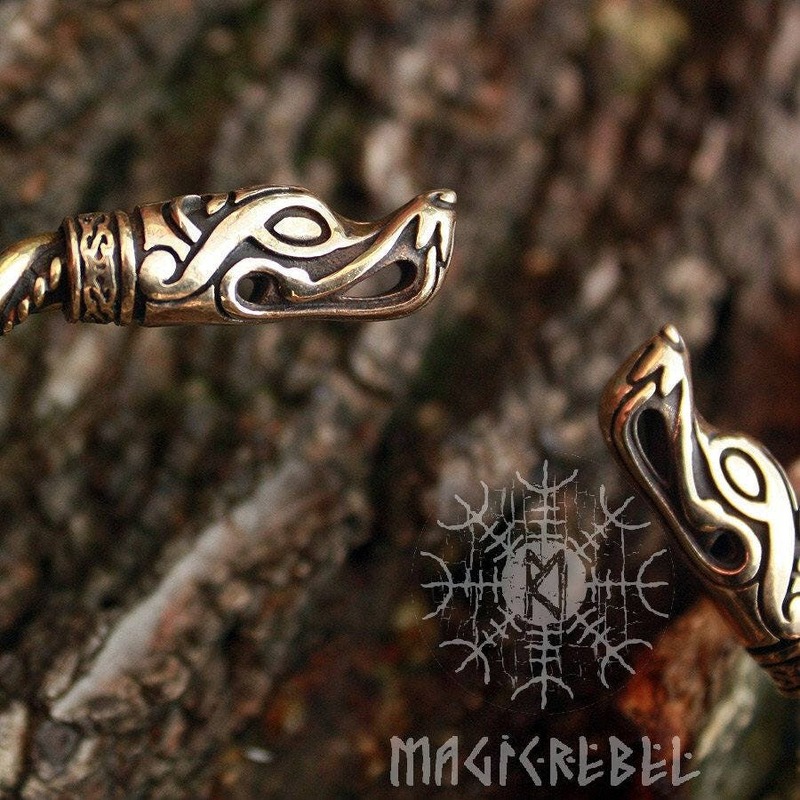 The arm ring is a replica of a similar torc bracelet found in the Isle of Gotland, Burg in Sweden. 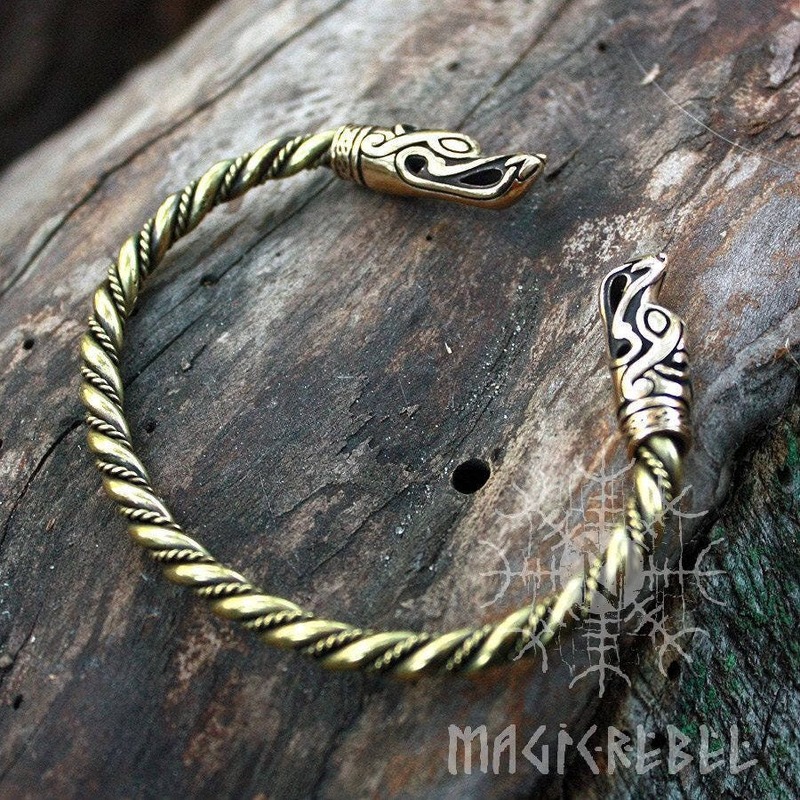 The bracelet circumference measures about 19 cm or 7.5" inches and can be bent out to be larger. 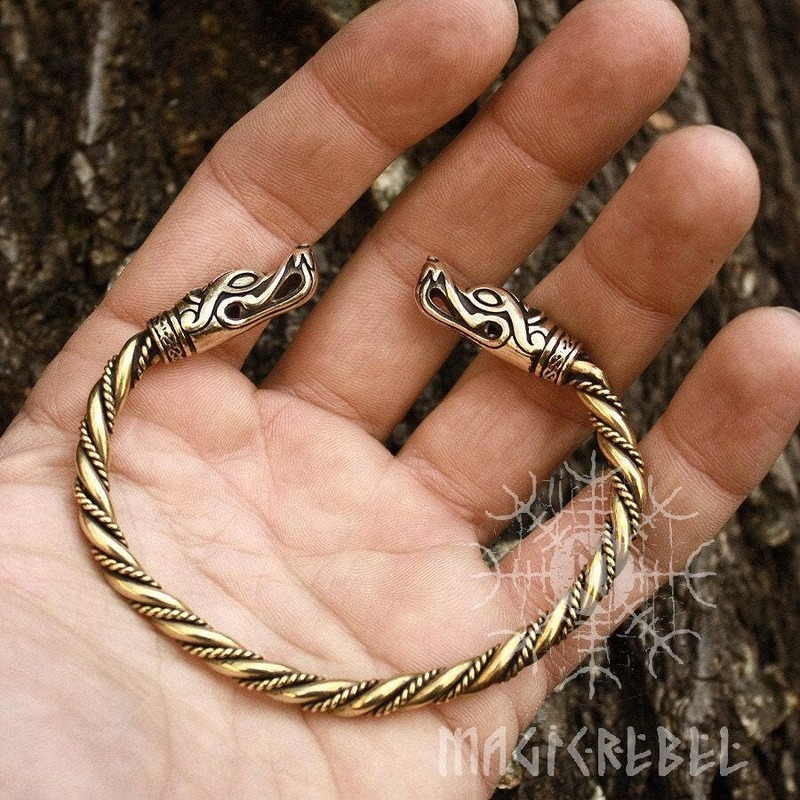 Bracelet thickness is about 5 mm wide, weight is 40 grams.